Fiber is the basic element. Fiber spin into yarn or thread, thread is a finer type of yarn. The word “Yarn” and “thread” can be used interchangeably. There are short-staple, long-staple, and extra-long staple fibers. Long and extra-long staple are always for highest quality bedding because they are more durable and softer. cotton and extra-long staple cotton. 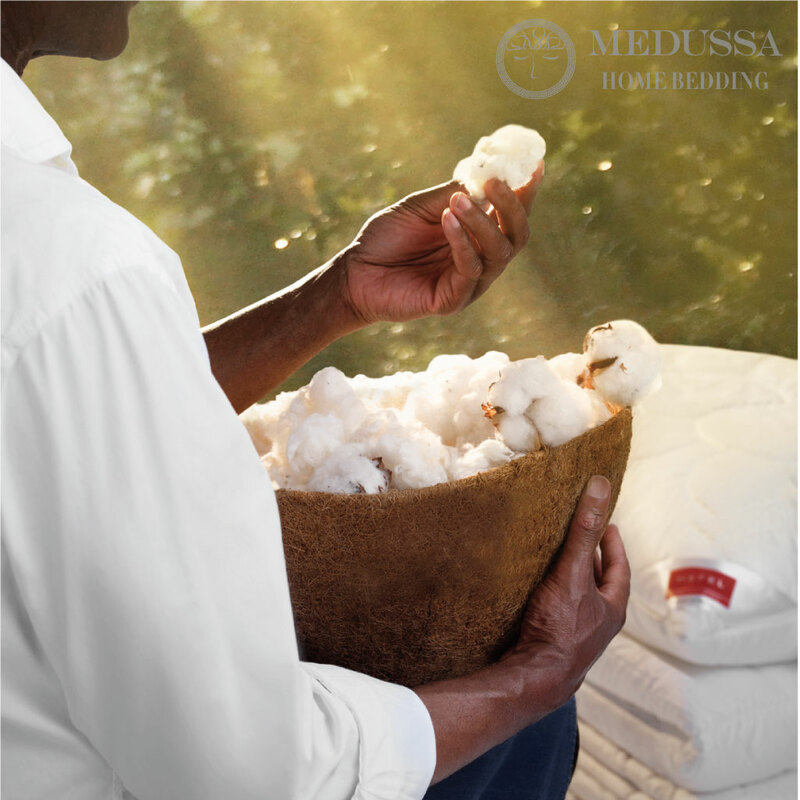 Medussa provides products made from only combed long and extra-long staple cotton. Combing process is to filter out impurities and breakable fibers, thus making the textile stronger and softer which leads to the highest quality bedding. Combed cotton sheets don't pill easily. 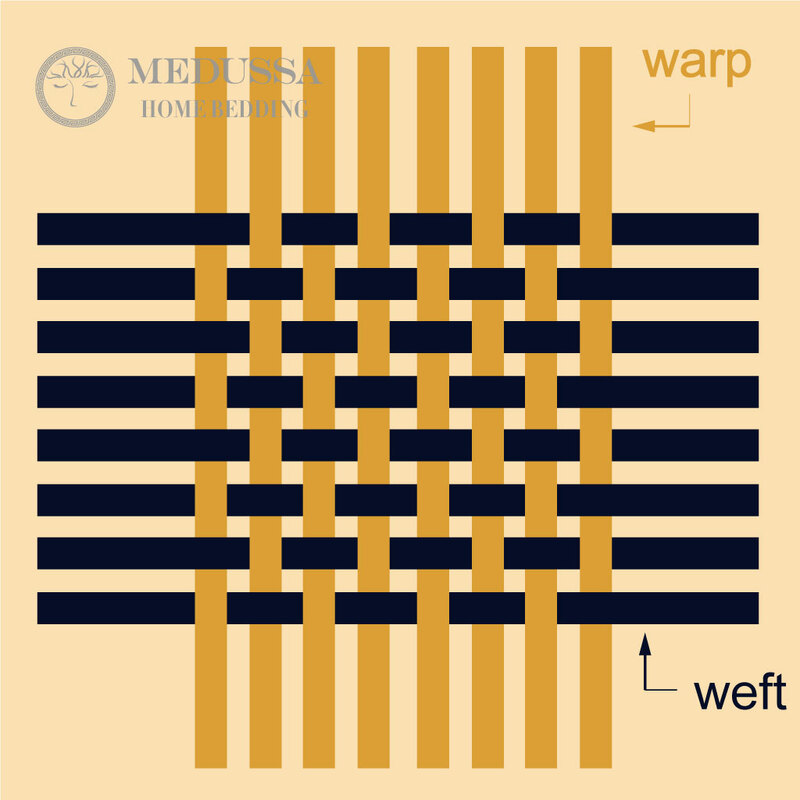 Thread count (TC) is the sum number of horizontal (weft) and vertical (warp) threads woven into one square inch of fabric. Generally, 200 to 600 TC stands for high quality fabric, while 300 to 400 TC is proven to be the most comfortable solution for high-end bedding. While lower TC results in a coarse and weak surface, a too high TC number (>500TC) is doubtful and is achieved by using non-necessary multiple-ply yarn or multiple picks, which does not improve the comfort level & quality at all, and even make it coarser and heavier. The best fabric should only contain single-ply yarns and single pick. A 300 TC yarn, if twisted by two strands of yarn which is called 2-ply yarn, may present 600 TC in the market. Number of picks refers to the number of threads inserted into the weft. Multiple picks do not have any functional purpose, but only increase the thread count. The maximum number you can make in one square inch of fabric varies from 400 to 600 TC, but the incremental comfort value from 400 to 600 is very little. Over 500 TC means the fabric is extremely soft, thick (not breathable), heavy and difficult to care. Yarn size/thickness is measured by the length of a thread at 1 lb weight, majorly in 4 class: 20S, 40S, 60S, and 80S. The larger number means the thread is longer and thinner in the same weight, and that implies better quality of the thread. Better thread brings softer and more comfortable feel. The yarn size/thickness factor is as important as thread count. 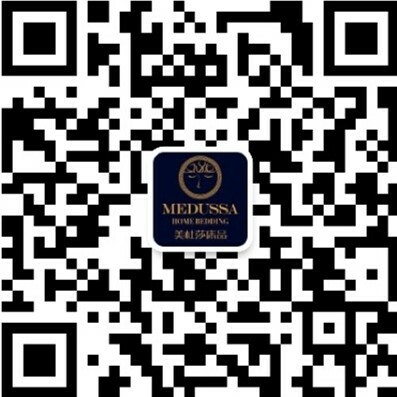 For bedding, 40S is considered good quality, and 60S and 80S is luxury level, and the best with no doubt. 100S and more is otherwise too fragile and dense for bedding. High thread count always stays with high yarn size/thickness. 300 TC, usually corresponds to 40S or 60S, 400 TC to 60S or 80S. The two most popular cotton weaves are Percale and Sateen. Percale belongs to plain weave type with at least 180 TC. It has three features: tight construction, matt finish and crisp feel. Sateen is a more luxurious type. It is cotton using finer combed long staple thread with a satin weave, which means four over and one under warp and weft construction. The threads are mostly on vertical side creating a silky feel and luminous sheen. 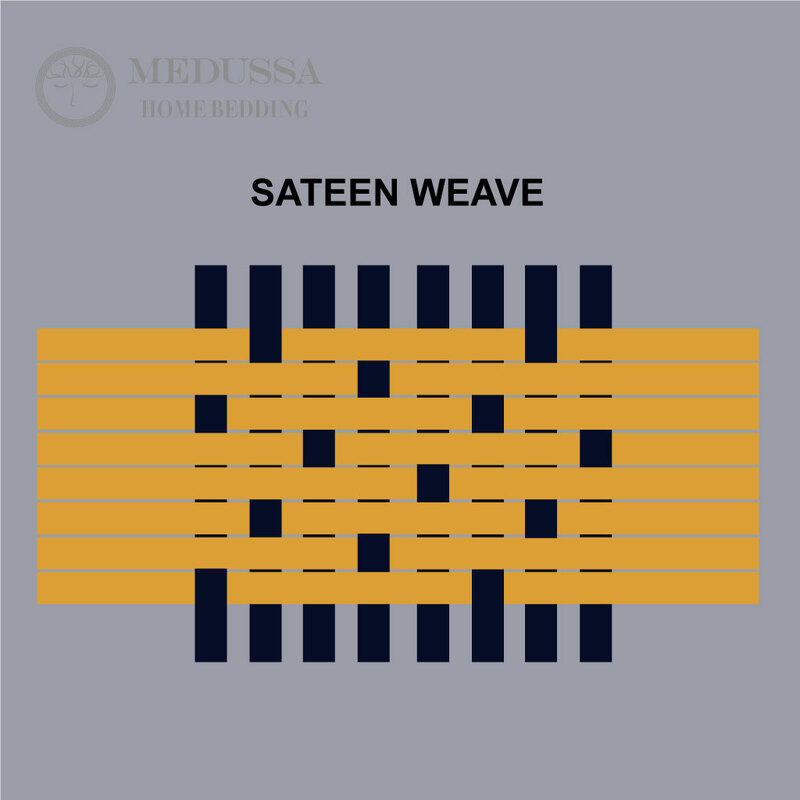 Sateen is softer by having a higher thread count and yarn size/thickness than Percale. Because it is cotton, so Sateen is much cheaper than silk satin, but more durable. It is also machine washable.